I’ve been thinking about dark fiction a lot lately. Part of that is because I am going to be on the PFW podcast this month talking about this very topic. Partly, it’s because it’s 2019 now, and I’ve been busy planning where my brand and my books are going. I’ve become known as a bit of a dark writer. While, yes, there is the common joke that authors like to torture and kill their characters, my brand goes a bit further than that. I’ve been known to put my characters through the ringer, and then bring them back and start again, and then blow up the wringer just because… well, why not. I honestly didn’t think I was a writer of dark fiction. When I first published Revelation, I was thinking that I was writing about the norm. Especially where it came to dystopian and science fiction. It seemed natural to me that my characters would actually get injured when they were in danger. Or that they would lose occasionally. Or that they would be faced with the full depravity of humanity because, well, we aren’t exactly kind to each other are we? The more I see reviews and hear people talk about my books, the more I realize how dark they really are. And yet, I hesitate to be okay with that. It’s not because I don’t like dark fiction. I really do. I have a very broad taste in books and movies, and while I am picky, my list of favorites includes both books like Red Rising and Holes. But in the past few years as I pick up “dark” fiction and watch various shows on Netflix, I find myself growing in my aversion to dark fiction. Early in my career I agreed to do a book swap with another author I’d met online. I would read and review his book, he would read and review mine. It was one of those learning experiences that since showed me that review swaps are a REALLY bad idea. But that is beyond the point. I read a few chapters of his book and finally had to write back to him and tell him that I couldn’t read the book. In a way it was a relief. As an author I know that sometimes things come out of me that don’t reflect my personality at all. For instance, I don’t swear or drink. I’ve never smoked pot. But one of my readers favorite characters in the Malfunction trilogy is a character that does all three of these things to excess. But as a woman, when I pick up a book where each chapter is soaked in dark thoughts of multiple characters daydreaming about violent sexual assault, I become very uncomfortable about the writer. I know what crosses the line and when a character goes from being a bit horny, to being downright scary. That was the case with this book. This book delighted in its depravity, and reading it didn’t make me feel dirty, it made me feel scared. Similarly, I started watching Penny Dreadful at some point last year. It seemed right up my alley. I love Gothic horror. Josh Hartnett played a character that really drew my attention. The premise included allusions to Frankenstein and other classics. I should have been in heaven. Instead, I found myself nauseated. At one point a demon possesses the MC in front of a group of people and goes into detail about the death of another character’s son. It was jarring and left me feeling as if I’d just personally witnessed a tragedy. After that, I haven’t gone near the show. But over Halloween I watched The Haunting of Hill House and was enraptured. Terrified, yes, but in love. It is, in a lot of ways, the very story I am aspiring to write with The Raventree Society. So what makes one dark story disgusting to me, and yet draws me to another. It’s not the gore or the death. It’s not the fear. There are two things that I can think of that make a story worth my time and turns a “dark” story into a “good” story, regardless of its tone. The characters have to be relatable. I don’t think that a likable character is necessarily the most important thing. In fact, most times when I’m writing a character, I get irritated with them a lot. I also put a lot of my worst traits into my characters. But I also like extreme character arcs. Probably why Zuko from Avatar the Last Airbender is my ideal character. Closely followed by Long John Silver from Treasure Planet. I remember when I first started watching Peaky Blinders I had a really hard time with it. Not because it’s not my thing. I absolutely love the premise and setting. It was because I couldn’t connect with any of the characters. They were pure evil. It wasn’t until I could admire the main character’s intelligence that I could get behind it. And the humanity of his older brother and aunt gave me someone I could care about. I’ve found that what hooks me into a story the fastest is when a character is flawed, and broken, but there is a constant growth towards redemption. Even if they don’t quite make it all the way there, the promise of it is enough for me to care. But if you give me a Walter White, forget it. I’m not sticking around. There are some people who think that a happy ending on a dark story is a cop out. I am not one of those people. Don’t get me wrong, a story has to earn it’s ending. You can’t have a heart-breaking story and just slap on a happy-ever-after. But you also can’t expect to drag me along with an insidious character for hours on end, and then pull out any reward I could possibly get from it. The character needs to grow. The bad guy needs to be defeated… and YES, there needs to be a bad guy. If your protagonist is the bad guy, I’ll just cheer when he’s dead. If I even get that far. I think this is why I loved Haunting of Hill House so much. There is this cheesy saying: The shadows prove the sunshine. It tends to pop into my head when I’m thinking about this subject. Because it is true. 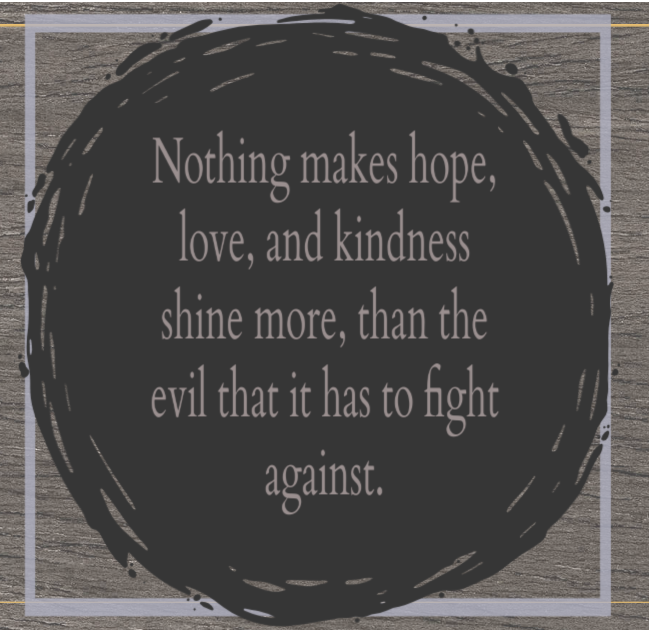 Nothing makes hope, love, and kindness shine more, than the evil that it has to fight against. I think some of the strongest messages that we can learn, come from dark fiction. We aren’t just getting entertained, we are being exposed to some of life’s hardest questions. But there is a difference between darkness and depravity. What about you? 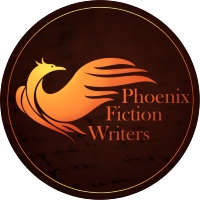 What draws you to dark fiction? What things do you hate about dark fiction? What crosses the line for you?